East Coast Swing is the American FUN Dance, and can be utilized for multiple music genres such as Country, Pop, and Rock. It is one of the most familiar names of a social dance here in Chattanooga, and one that people are consistently interested in. 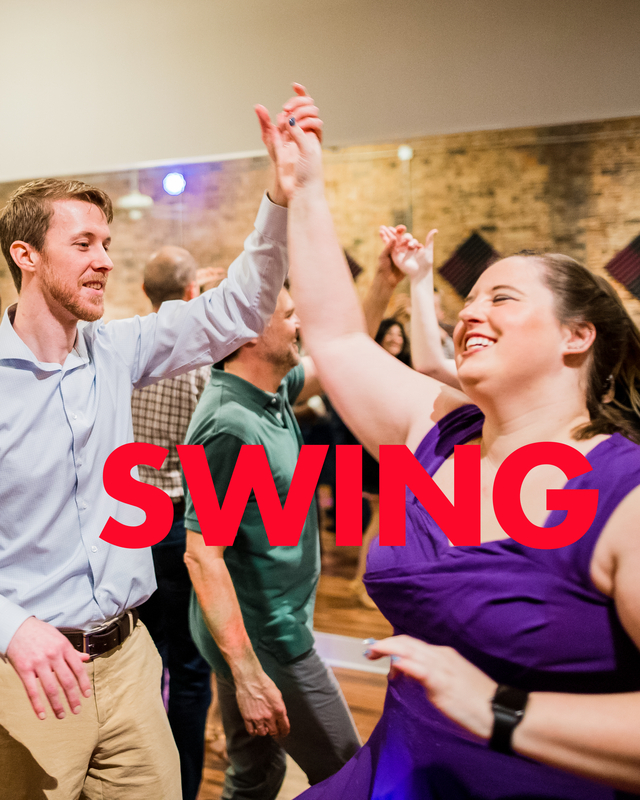 Join the fun by going through a set of 4 classes to be introduced to Swing! No partner is necessary to come to our group classes. The classes are 40 minutes long, and are at 6:45pm on the first four Thursdays in May 2019. May 2, 9, 16 and 23. Once you make your purchase, you will receive a confirmation number, and you are in our database. After that you just show up to the first class. Please contact us if you have any questions!